Dedicated to comics so good you'll stay up past your bedtime. A family drama unfolds as Maureen moves out of her father’s home while her older sister serves prison time. Family duty and honor all come into play as the two sisters paths move further and further apart. Their father’s heart aches for his family to reconcile. Can Maureen make it on her own? 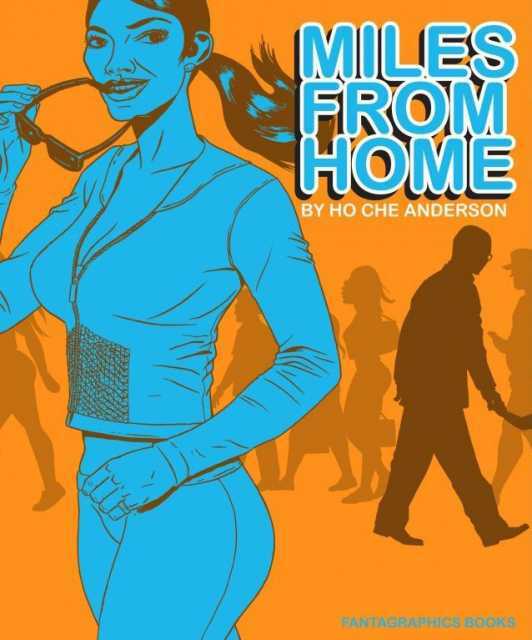 Ho Che Anderson’s art evolves throughout the story as Maureen sees herself and who she can become without the many forces pulling her in different directions. This is not your normal comic book, broken out into weeks, and months, the stark black and white feels very comfortable to the reader. The entire layout is minimalist in standard Ho Che Anderson drawing, almost like a block cutting rather than a drawing. For this comic book the whole process simply works, as well as the interplay of the characters, the situations, and how the book starts off. In all this is a really nice copy and you can only get it online at Comixology. Overall I am going to rate this one 4 of 5 stars, there are a couple of times you have to go back and reread the comic book because it is so very dense in places. The story line is brilliant, but I feel like more could be done in the longer run, and there is always room to bring this story line to life. There are at times so many nuances that the reader can get easily lost. But then if you are used to reading Ho Che Anderson, then you know that this is what you get with a lot of the comic books he writes. There as always more to the story line than meets the initial eye. So worth getting and reading, not just for fans, but for people who are looking for books off the beaten to death path. This is a bright breath of fresh air, and brought to you by Fantagraphics. Pure Line theme by Theme4Press • Powered by WordPress Comics Forge Dedicated to comics so good you'll stay up past your bedtime.